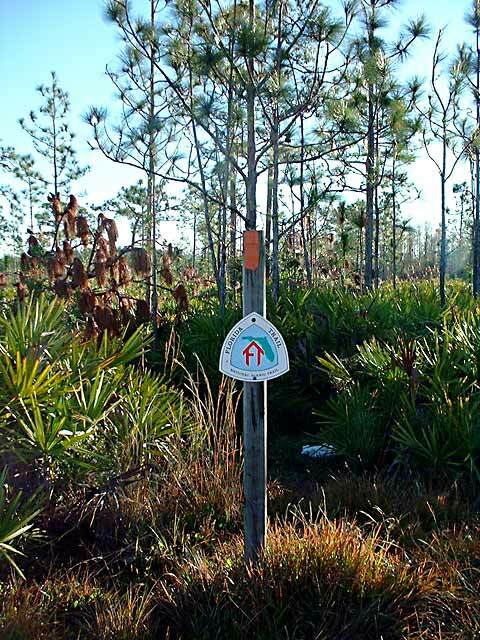 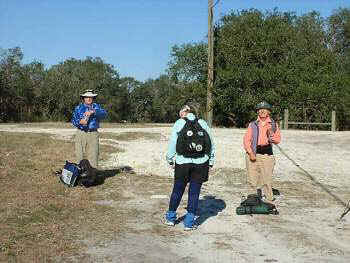 Our first excursion this year was when Judy hiked the western loop of the Florida Trail. 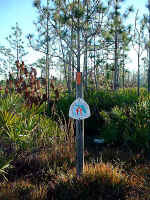 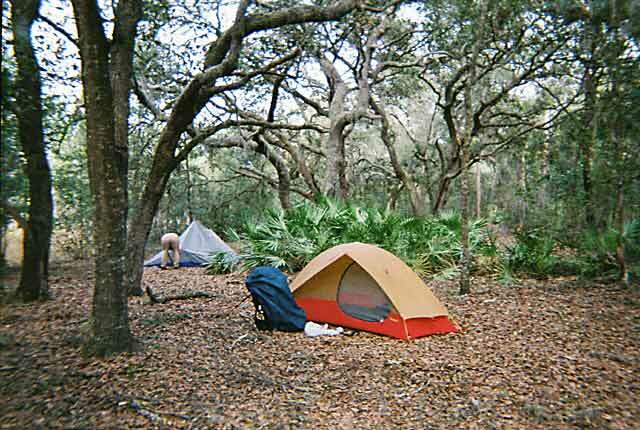 She thru-hiked the Florida Trail in 2000 with Joan Hobson. 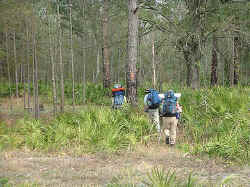 They hiked the eastern route around Orlando. 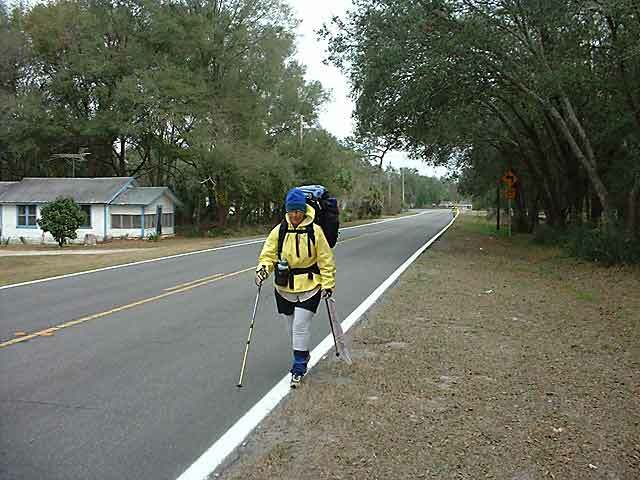 When Joan announced that she was going to hike the western route Judy decided to join her. 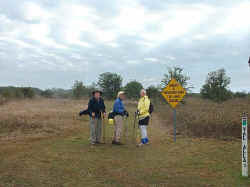 Judy started at the junction at Three Lakes WMA on 1/25 and began the first of many days of road walks. 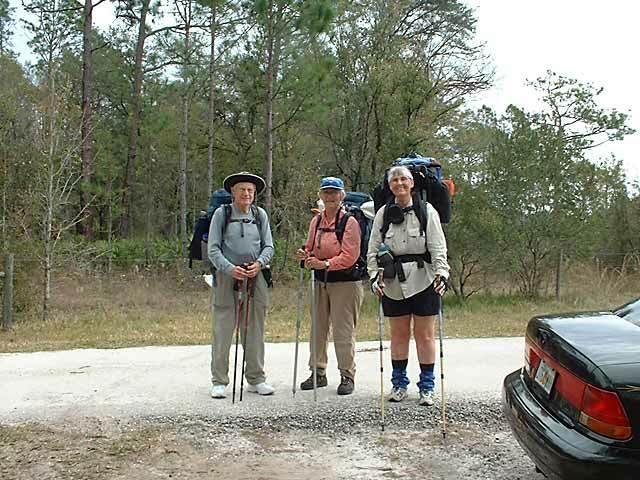 On the second day she caught up with Joan and Cliff. 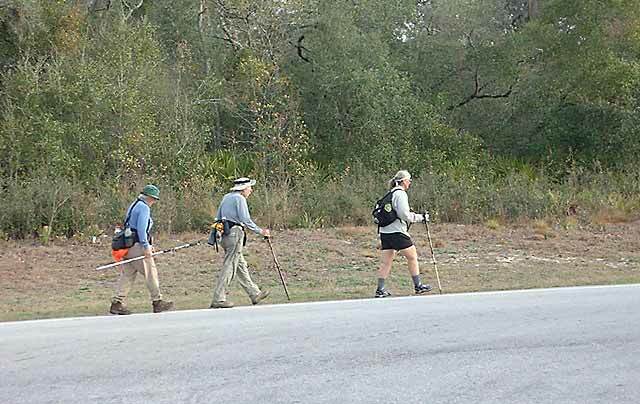 Cliff is attempting to be the oldest person to hike the entire trail. 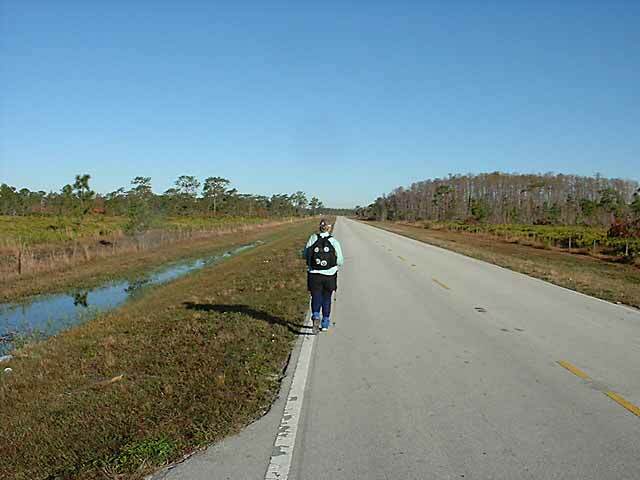 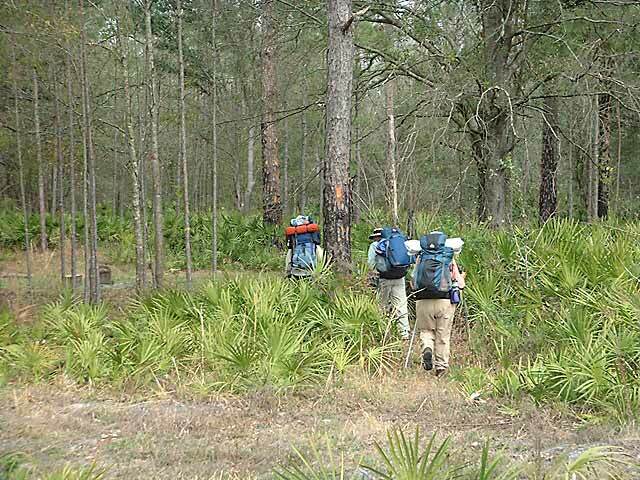 The trail for the next few days is a series of road walks until it reaches the Green Swamp. 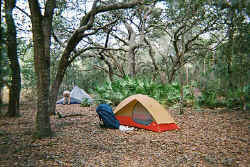 and tented for four days. 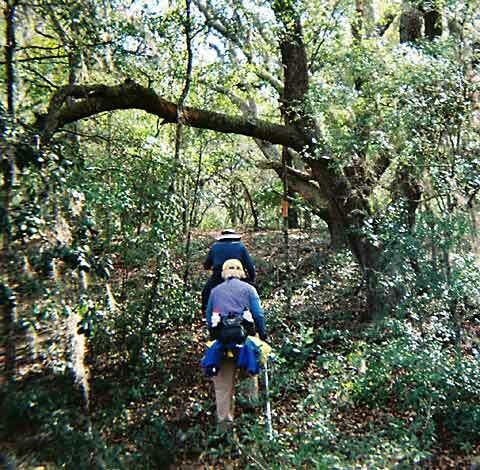 The weather turned cold, Cliff fell in the creek, and Joan's back bothered her. 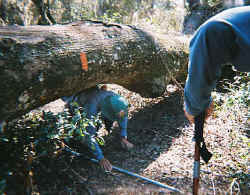 Otherwise everything turned out fine. I met them as they were walking down the road towards Trilby and the Withlacoochee Trail State Park. 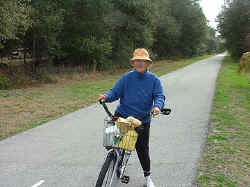 http://www.dep.state.fl.us/gwt/guide/regions/crossflorida/trails/with_state.htm There Judy decided to bike while Joan hiked with a lady who joined her for a few days. 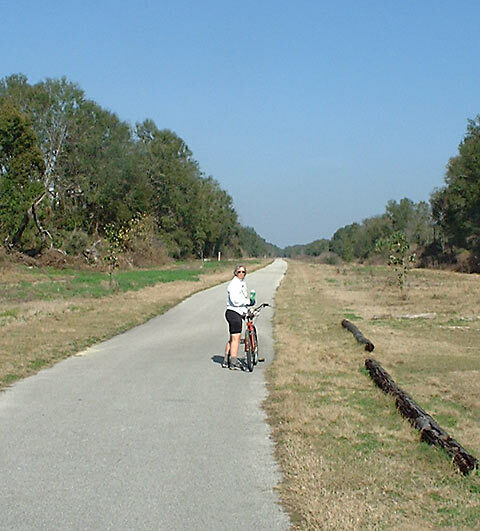 Later Joan biked for a few days till the end of this section at Dunnellon. 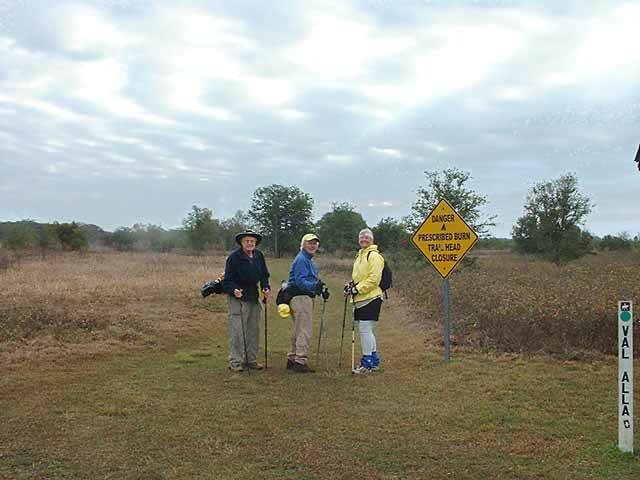 From Dunnellon they followed the The Marjorie Harris Carr Cross Florida Greenway. 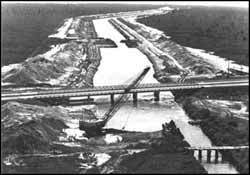 The Greenway occupies much of the land formerly known as the Cross Florida Barge Canal. 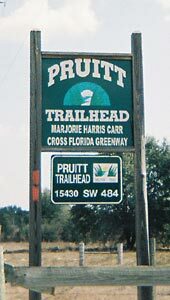 Cliff returned to hiking at Pruitt Trailhead after recovering from his fall in the creek . 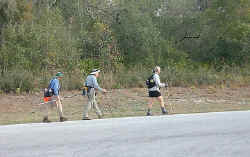 They left the Greenway just east of the city of Ocala and did a couple of days of road walking before reconnecting to the eastern loop at Store 88 on Feb. 15. 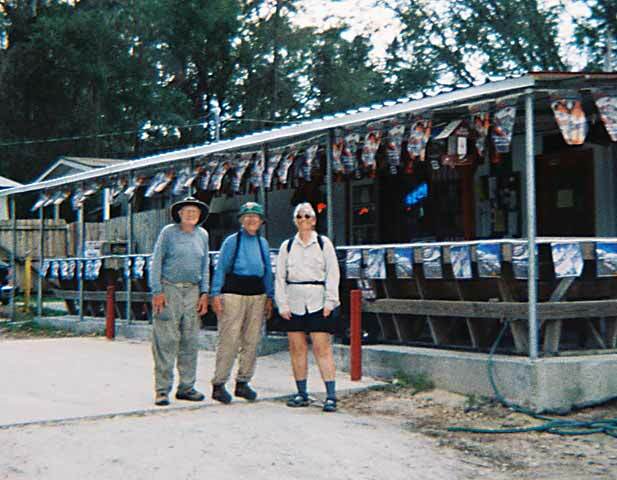 Joan and Cliff continued on north and we stopped at the Canfield KOA for 2 days before returning to Ft Myers.